Simple but nice concept that screams "Fresh!" ^ Beaten to it by YKT while I was still typing this! Anyway, here's the news excerpt and what I could understand from it. 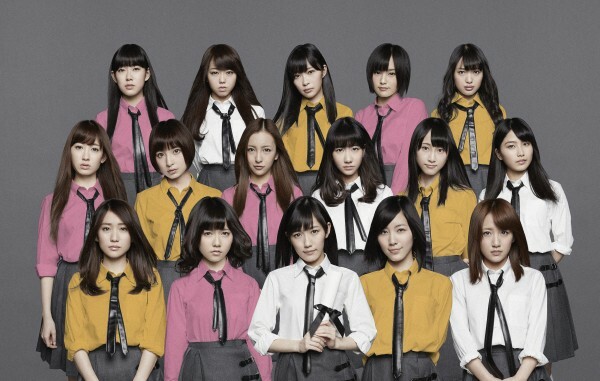 - The full PV will be 64 minutes long, making it AKB48's longest PV to date. - Mayu's character meets Jurina's character (named Mirai) who is from Fukushima. Jurina transferred to Mayu's high school after the great earthquake. - The PV is set in a high school in Niigata. - Filming took place in November 2012. - It snowed on the first day of filming. Members had to wear swimsuits in 2°Celsius near freezing temperature for the shoot. Nevertheless, Mayu and Jurina were able to smoothly complete the scenes where they had long dialogue exchanges. 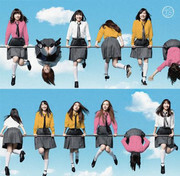 On the first day of “AKB48 Request Hour Set List Best 100 2013” held at TOKYO DOME CITY HALL on January 24th, the MV for AKB48’s upcoming 30th single “So long!” (to be released on February 20th) was revealed. It was announced that the MV was directed by a film director Obayashi Nobuhiko. 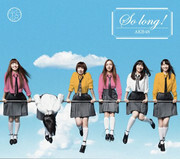 “So long!” is AKB48’s 6th “Sakura” song, and Watanabe Mayu will be the center for the first time. The MV that was revealed at the event was the short version that was 6 minutes long, however, there will also be a 64-minute long version which is the longest MV ever for the group. The MV takes place at Chuetsu high school in Niigata. Along with the members, singer Mickey Curtis and actor Takashima Masahiro also make appearances in the MV. Radio rip of team A coupling Ruby. Radio rip of Team B coupling song Soko de Inu no Unchi Funjau ka ne?